The geometric details take on an undeniable synergy to create an electric and youthful tone. 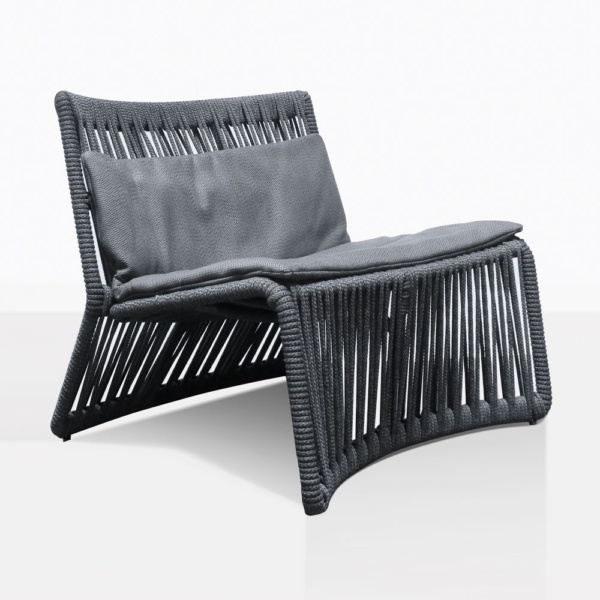 The Portofino Club Chair exposes a dramatic effect with deep blue-grey rope zigzagged across the frame. 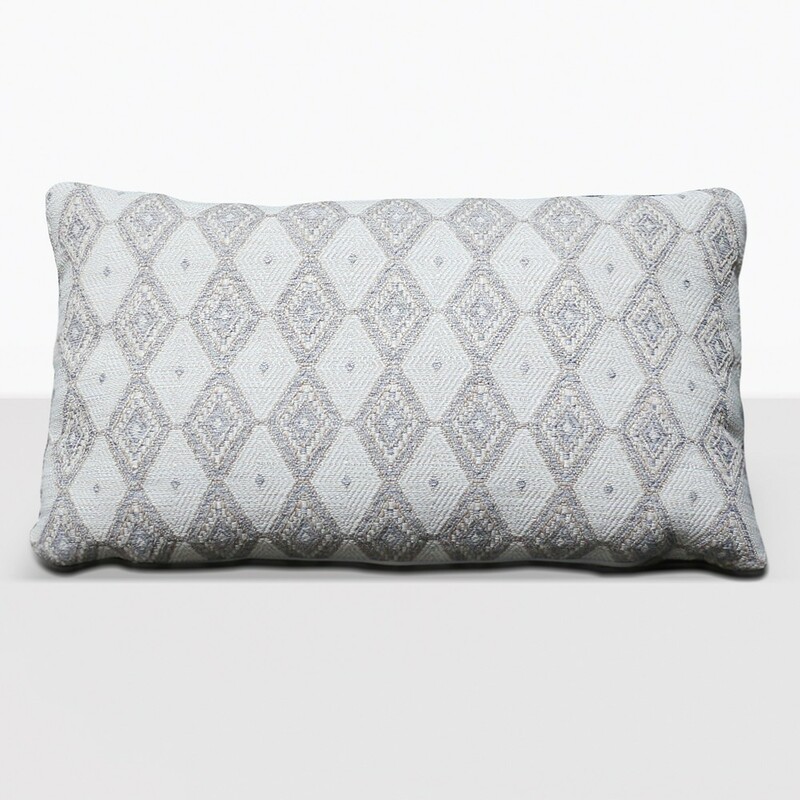 It’s the type of piece that energizes a space with its unrestrictive design motif. 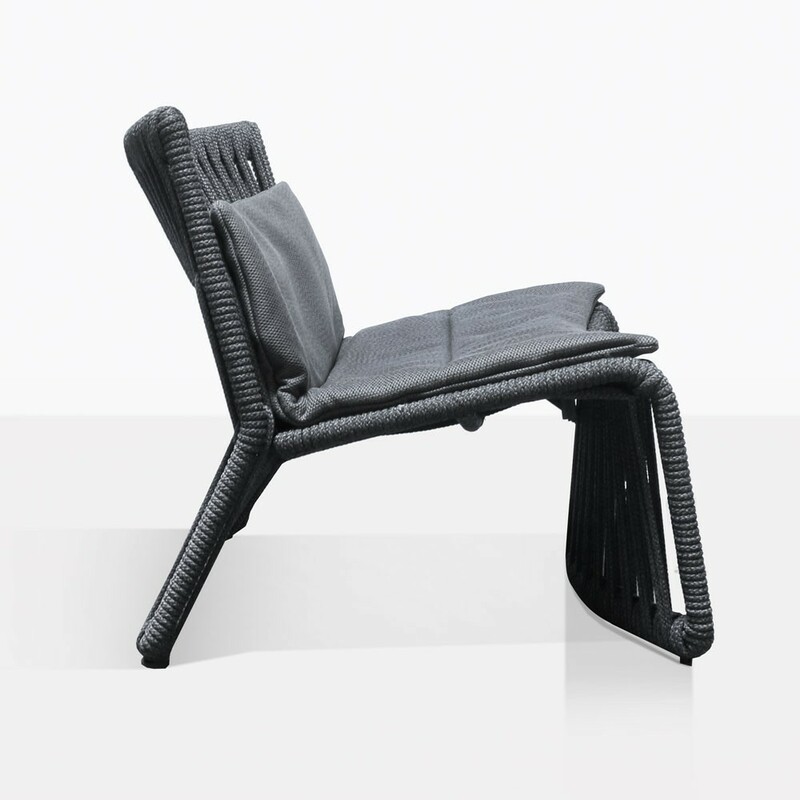 The mixture of rope and aluminum makes this club chair work in commercial and residential spaces alike. It’s a vision of a sleek silhouette adjoined by a rhythmic vibration that blurs the line between art and functionality. 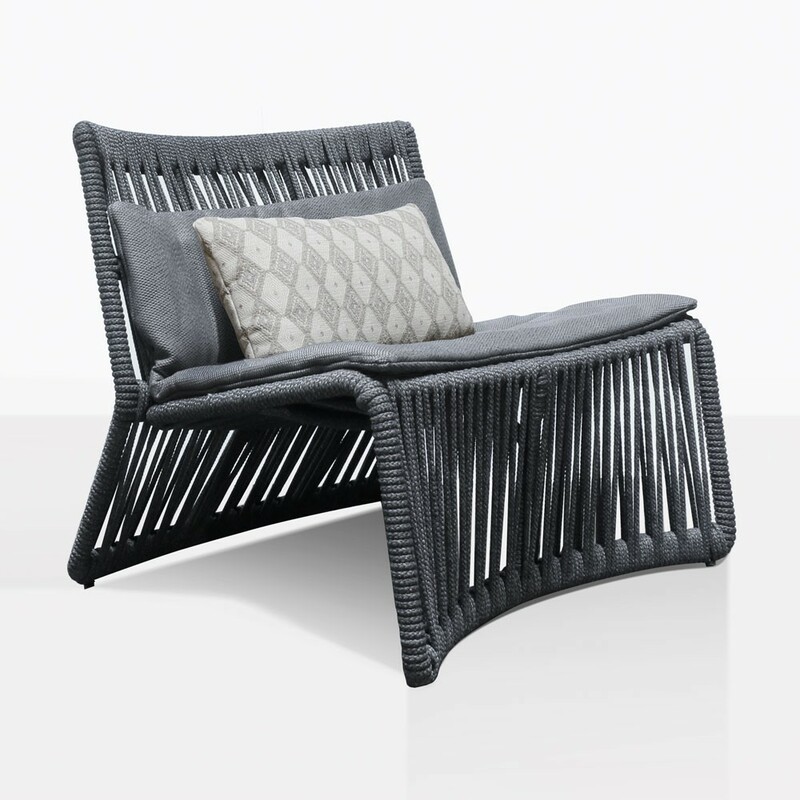 Browse our online catalog for the entire Portofino Deep Seating Collection or visit our showroom in person. We look forward to helping you choose the pieces that are right for you and your space! W36.5" x D36" x H32"
There’s an electric current produced by the angular shape and zigzagging moody blue-grey hued rope that sparks a soulful attitude while bringing a dramatic effect to a space. The Portofino Club Chair is part of a larger deep seating collection giving you options for seat pairings, a side table, and a coffee table. Feel inspired by the collections energetic energy and mix and match with the club chair’s counterparts or perhaps use several in a group around a low sitting coffee table. This collection is progressive and its alternative spirit feels dictated by the materials of the rope and aluminum while it’s mood is produced by the masculine hues. The mixture of materials used throughout these pieces is of exceptional quality and resist damage produced by sun, heat, or rain. The aluminum frame is durable and will resist any corrosion from environmental stress and the UV treated rope will keep your pieces looking intact for many years. 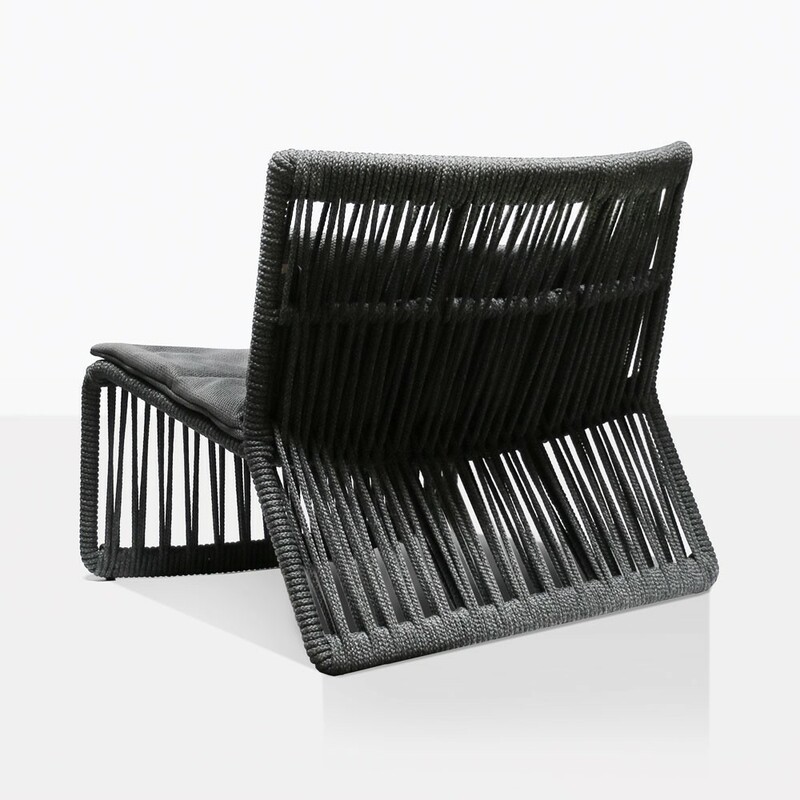 These are among the best materials to use for outdoor furniture and look great in residential spaces, commercial, and marine spaces such as boats and yachts. Along with the structure of these pieces they also come with the cushions shown that have also been made to withstand any wear and tear from weather conditions. The light grey color of the cushions compliments the pieces with an ease that is inviting to family and guests to enjoy. Elevate your space with the bold and dramatic effect of the Portofino Club Chair. Let yourself indulge in the contemporary mood of the collection and let your space take a creative risk. Browse the site to view the entire collection!